The national media are making their in roads in Anderson this week and Jason La Canfora from CBS and John Clayton from ESPN both have pieces on the Colts. Also, Mike Chappell takes a look at Daniel Adongo and five takeaways from Thursday’s practice. Take a look below at the top pieces from Friday, August 2nd. La Canfora spent Thursday at Colts training camp and came away very impressed by the job Ryan Grigson has done in the past year. It’s not as if he didn’t savor and relish each accomplishment along the way, but there was so much to do at the micro level that sometimes the macro gains couldn’t be truly appreciated until there was time to take a step back. Of course, everyone in this organization, from Grigson on down, is far from satisfied with a season in which the Colts went from worst in the NFL to giving the eventual Super Bowl champ Ravens a good game before succumbing in the Wild Card round. “He’s unbelievable,” Pagano said. “I don’t know if the guy sleeps to be honest with you, because it’s everyday. I don’t think there’s a minute that goes by that he’s not thinking about the roster, thinking about the organization, what he can do to give us the best chance to win. 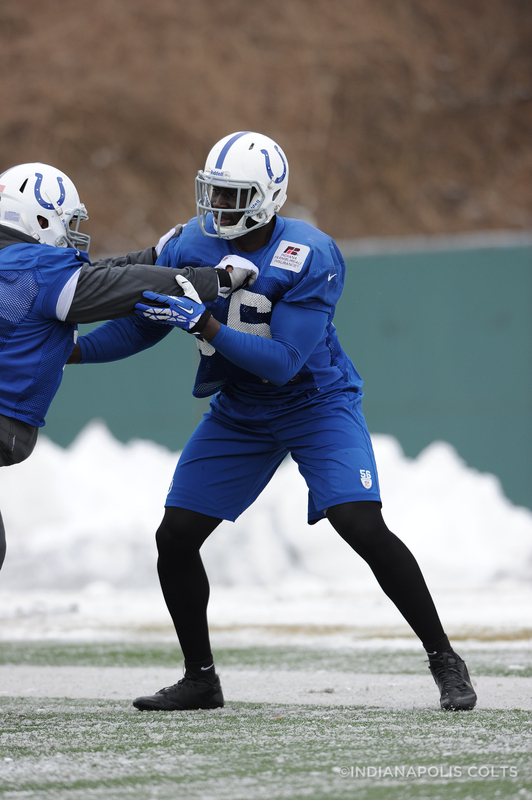 Chappell writes about the 90th man on the Colts roster in Daniel Adongo and the process of how Ryan Grigson and his staff went about finding the rugby star. “He’s a total longshot,’’ general manager Ryan Grigson conceded. “He’s somewhat of an experiment. Adongo isn’t interested in making his first trip to America a short one. Chappell’s notebook leads off with a focus on the quarterback Andrew Luck. No. 12 had the play of the day on Thursday with a 30-yard touchdown run, much to the displeasure of Cory Redding. Chappell also takes a look at some of the Colts injuries and a leaping catch by an offensive lineman. Clayton leaves Colts training camp impressed by what he saw in Anderson. In this piece he talks about the Colts magical 2012 season before breaking down five different things he learned during his stay. So often, though, magical playoff teams turn into one-year wonders. There’s a sudden drop-off the next year. Wisely, the Colts built on their success. General manager Ryan Grigson attacked unrestricted free agency with $134 million worth of contracts. Arians left for the Arizona Cardinals, so Pagano brought Pep Hamilton from Stanford to be the offensive coordinator. Hamilton is making the offense a moving target, switching more to the run. As long as Luck is their quarterback, the Colts know they have a horseshoe of good fortune on the side of their helmets.